62. 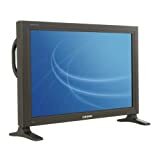 Samsung SyncMaster 710N-2 17"
71. ViewSonic VP201S Pro Series 20"
Right out of the box, the ViewSonic VP211b required only one brightness/contrast adjustment to calibrate its output for print, which is a remarkable change from my experience with a high end, problematic and short-lived CRT with integrated calibrator. It takes just a few minutes to understand the on screen controls and to know the buttons by feel. The monitor base is solidly constructed and can be positioned to make the two "legs" less obtrusive, which is important for my use with a rather large graphics tablet. The display's height, pivot and rotation adjustments are precise and virtually effortless. In portrait mode, the amount of vertical real estate is surprising and has become increasingly preferable to landscape mode for a number of tasks. After two hundred-plus hours of use, I have yet to find a single bright or dead pixel, but there is one major caveat: a "No Signal" error occured on screen with the DVI cable installed.ViewSonic's Customer Support rep would only say that my ATI Fire GL 8800 accelerator card must be incompatable, but my question about a compatable cards list drew a non-response. 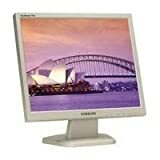 The monitor operates perfectly well in analog, but to avoid startup errors in Windows 2000, it's important that the "Hide modes that this monitor cannot display" box in the Display Properties/Settings/Advanced/Monitor window is checked (make sure that all changes are made while the display is in landscape mode!). 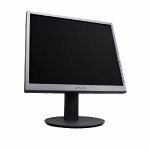 Overall, the VP211b's large screen presence, highly flexible positioning, easy USB port access and neutral color balance are qualities that were either lacking or altogether missing with prior monitors. Although I cannot comment on its digital-input performance at this time, the VP211b nontheless provides a comfort level that exceeded my expectations. 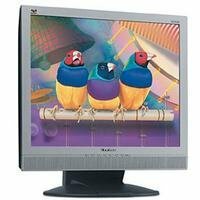 I previously had a 21" CRT/17" LCD dual monitor configuration, and replaced the 21" CRT with this monitor.The first thing I noticed was how bad it made my older 17" LCD look.Colors are sharp, contrast is extremely good, and there are no color or brightness variations across the surface that I can spot.The unit I have has absolutely no dead or stuck pixels, but I don't know what the ViewSonic policy is on that, so I may just be lucky. It is an expensive monitor, but I wanted the combination of (relatively) small footprint and 1600x1200 resolution, and have been very happy with it. Samsclub had the unit for a great price so I got it for my wife on Mothers day. I mounted it in the kitchen, using the template, cabled it to cable tv input and attached the fm antenna. I was concerned about the previous reviews and the unit dying so I literally played dvd's, cd's, tv, and radio constant for many days. I have not had any problems with the unit. the wife loves it. The screen is nice and bright (its set to the default brightness setting - low) and the DVD player has played anything I have thrown at it (- dvd -r, dvd +r, dvd -+rw) and everything plays just fine. It seems that Polaroid thought of pretty much everything when they designed the unit. The remote control is magnetized so it sticks to the oven and is laid out very well, the controls on the unit front are easy to use. All in all, it's been a fantastic puchase and I don't know why the two other reviewers had such problems with their units. I received this TV as a Christmas gift and the screen went completely blank just after the warrenty ended and of course Polaroid would do nothing for us.I would not recommend this TV.Plus you had a stand directly in front of it to see the image on the screen clearly.Too much money for such poor quality!!!!!!!!!!!! Got the unit; installed it; tested all the functions (CD, DVD, TV, Radio). It worked great! However, after a week of just using the radio and the CD player, I tried to turn back on the TV or the DVD. The sound was good; however, the screen was black. If I shown a strong flashlight on the screen, I could just make out what was on the screen. But, there was NO illumination. I had a dual monitor setup with 2 CRTs, and bought one of these to replace the older one which was looking pretty sad next to my newer CRT.Now my new CRT looks sad next to this new Samsung LCD, so I'll be buying the 19 inch version to go with it.The color and sharpness of this monitor blows away all the monitors I've seen at work (I work in IT) or in stores.I also play Desert Combat on this monitor, and ghosting hasn't been a problem.Don't buy a cheap LCD, spend a few extra bucks and get quality. 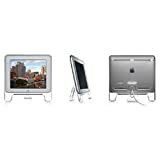 I was looking for something that gives me the quality of an apple monitor without the expense. Compared this with Sony and after ample self doubt, decided to go in for a samsung monitor. I am more than overjoyed. It looks jaw-dropping-awesome, the design matches my mac mini, and gives amazing features and operation. If I need a second monitor, this would be my sure shot choice, any day! 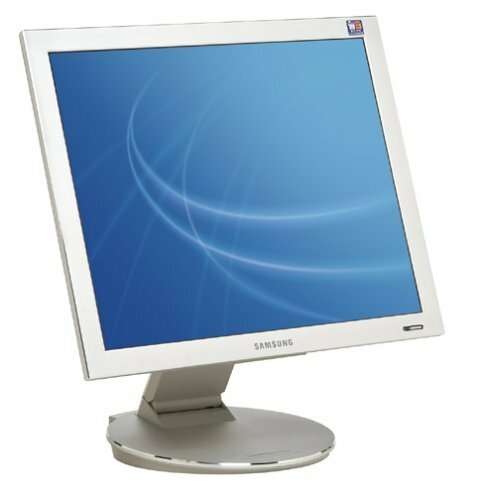 The Samsung 173P is easy to set up.Just take it out of the box, plug in the power, then connect the LCD to your PC just like you'd plug in a normal CRT monitor.Then power up your PC and enjoy! The 173P's out of the box setting is a little bright.Luckily, they give you a driver to install (on a CD), and two great programs, Magic Tune and Natural Color. Magic Tune lets you adjust the resolution, brightness and contrast then save them as presets.You can change your monitor preset by right clicking on the desktop and pick one of the presets you've saved. Natural Color lets you adjust the color of your monitor to the ambient light level and light source (daylight or incandescent, or whatever). It really takes the colors of your LCD to the next level. You can also match the color of the 173P to your printed output, but I haven't tried that yet. - text is easier to read. - frees up desk space. For editing digital pictures, a high quality CRT is likely going to beat out the 173P by a little.However, for general home or business use, this monitor rocks! The 173P fit and finish is very classy. This LCD monitor for the money is well worth tossing your 17 inch monitor out or keep it as a boat anchor. I bought this as a second monitor, and as such it performs nicely. The price was right ($320 after rebates), and it's one of the thinnest 17" moniitors I've seen. Image quality is nice, and contrast ratio is better than many models, but it's a big dissapointment that there are drivers available for all versions of Windows and even Linux, but no Mac driver! (so Mac users won't be able to use the main feature of this monitor, its ability to rotate 90 degrees to display a page in portrait orientation, or control the brightness (which I assume the software driver could do, but I can't install it, so I'm stuck faking it with my system monitor control). Samsung's tech support is dicey too. After several automated replies telling me to use a Macintosh adapter to make it work on my Mac (works fine; it's the software driver I asked about, nitwit! ), I finally reached a human who told me what I already knew; Samsung doesn't offer one. With its stunning, cutting edge styling and equally stunning high-definition image, Samsung's HL-P5085W is a sight to behold. 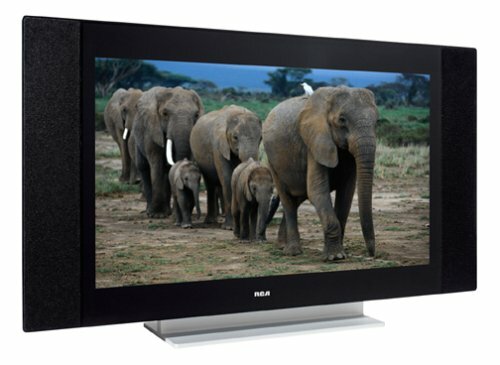 The DLP projection set offers a broad, 50-inch screen in a 16:9 aspect ratio and a unique pedestal mount whose lightweight design and slim stature lets it fit where other stands won't. But the HL-P5085W offers more than just quantity of screen: it's also engineered for quality. The secret to this DLP (Digital Light Processing) projection set's quality is its Emmy-winning technology from Texas Instruments. Samsung has combined its proprietary Cinema Smooth Gen 4 HD light engine and advanced optic enhancements with a single, .8-inch Digital Micromirror Device (DMD) capable of generating high-definition video images with film-like resolution, deep blacks, and robust colors. Samsung's Cinema Smooth light engine enhances brightness while ensuring an astonishing 2,500:1 contrast ratio. Texas Instruments' DMD panel is immune to the factors that can cause other displays to deteriorate with use, imparting a longer life expectancy than that of cathode ray tube (CRT) sets, plasma display panels, and liquid crystal display systems (LCD, LCoS, HTPS). A host of advanced digital interfaces and video inputs make non-issues of connectivity challenges and future proofing. 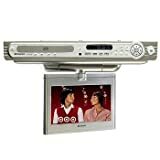 The HL-P5085W's automatic digital-format conversion system converts any input (whether DTV, analog TV, or XGA computer sources at 1080i, 720p, 480p, or 480i) to a progressive, 16:9 widescreen image with a 1,280 x 720 pixel count. A 3D Y/C digital comb filter dramatically reduces image-edge artifacts while improving transition detail, and the set's HD ultra-fine-pitch (.155 mm) screen further clarifies images, especially when you're viewing high-resolution sources like DVD and HDTV. Samsung's Cinema Smooth Film Mode 3:2 Pull Down correction circuitry addresses digital distortion in 480i (interlaced) video signals generated from 24 frames-per-second film. Finally, Samsung DNIe video enhancer (Digital Natural Image engine) works with all analog NTSC and wideband video signals for improvements in contrast, white level, and picture detail, incorporating digital noise reduction to improve lower-quality sources. The set offers digital-video inputs in 2 formats. A DVI-HDTV interface with HDCP copy protection permits all-digital rendering of video without the losses associated with an analog interface, and an HDMI (High-Definition Multimedia Interface) jack channels both digital audio and video to simplify connections with newer DTV set-top boxes and DVD players by reducing hookups to just a single cable and plug. Other inputs include dual HDTV component-video inputs (480i, 480p, 720p, and 1080i) for high-definition satellite receivers, HDTV tuners, and HD cable boxes with component video outputs (Y, Pb, Pr); 3 each composite- and S-video inputs; and 2 RF coaxial inputs for antennas or older VCRs or cable boxes. An audio/video output permits hookup with an external device such as a surround-sound receiver. A 15-watts-per-channel (x2) audio system with a pair of 2-way speakers comes with built-in SRS TruSurround XT, which simulates compelling surround sound through any stereo playback system, including headphones and the TV's speakers. 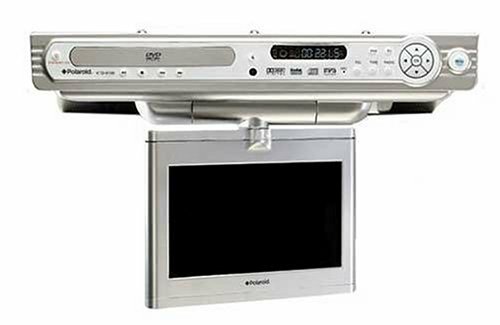 Last but far from least, onboard 2-tuner PIP with side-by-side split-screen viewing grants convenient simultaneous viewing of 2 TV programs, while a supplied universal remote control permits control of the TV, a DVD player, a VCR, and a tuner/surround receiver. I have this TV in my game room over the garage.I'll tell you it is the most awesome piece of AV equipment I've ever owned.The HD Picture quality is breath-taking (I have the HDNet/ESPNHD packages from TimeWarner, the Discovery documentaries shot in HD are just crystal clear and so realistic, feels like you are right there.Best of all, there is no service adjustments you have to do to make the picture quality improve, it's right out of the box top quality.I did adjust the brightness and tuned down the sharpness to fit my viewing taste.I also configured the 1280x702 resolution for my computer viewing pleasure, which is hooked into the DVI port.I am sitting 10 foot from it and it is like I am viewing it right on my office desk, so clear and sharp. 2.Low Fan noise, not noticable at all.Not much heat. 1.Heavy stand, 80 pounds by itself. 2.Not easy to put AV components around. 3.The little shadows sometimes noticable on screen, because the screen hasn't completely heated up yet. Best TV I ever had! The picture right out of the box is incredible. I have Dish network HD package. When I powered on the TV and watched the HD channnel, the picture is stunning. The colors are bright and the black levels are excellent. I researched for the TV so long and ended up with this beautiful piece. Just buy it and enjoy. It is stylish. I recommend it. I feel as though most people make a purchase, and then justify it by raving about it's performance, even if in their heart of hearts they know it is junk. Just recently, an acquaintance of mine purchased an LCD television that, while asthetically pleasing, has one of the worst pictures I have seen.Trail, ghosting, poor colors, etc...DLP projection is simply the best picture you can buy if dollars spent VS. quality of picture is your goal. If you MUST hang a TV on a wall, KNOW that you MUST ALSO spend at least $7000 for a picture that begins to match the quality of a $2500 DLP.The cheaper flat screens are cheaper for a reason.You do the math. This Samsung model is just gorgeous.HDTV is simply stunning.Colors are crisp, black levels are INCREDIBLE, and the picture is 95% perfect right out of the box!I had an engineer look at this set and say "it is perfect when you plug it in".So many sets need "tweaking" for days before they look right, so this is an added benefit on this model. Also, the set has PIP, which can be used for watching TV while also using your computer!Simply run video out from your computer and you have a 50 inch HD Monitor!!Awsome! This set has HDMI, which no one really uses yet, but it is nice to have for the future.For those who do not know, HDMI is ONE cable that carries HD PICTURE AND SURROUND SOUND.It also has DVI input for the BEST HDTV picture available. The look (pedestal) is love it or leave it, but if you are here, you obviously find it pleasing. I can not comment on the sound as I have never used it (I have a home theater system), and this brings me to a slightly offpoint comment, but one that is important.if you DO get a surround system, please do this television justice and do not buy some junky home theater in a box!Sound is actually MORE impotant than picture in terms of a visceral experience, and you do yourself no service to buy this set, and then use garbage sound. Also, BOSE, while nice, is overpriced and simply silly.DO RESEARCH, and find that no respected audio/videophile respects BOSE, when they know better can be had for less. Sorry...back to my review.This set is wonderful.You can use a nice open-air AV rack to complement it visually, and as far as gaming goes, XBOX in HD is fabulous!!! ONE NOTE ON DVD's.this television has a native resolution of 720P DVD's only have a maximum of 480P, and as a technology, DVD's are not that great, which is why HD DVD's will be out this year (DVD's that do 480p,720p,1080i,1080p ie. High Definition DVD's) Do not be disappointed if DVD's look a bit fuzzy, pixelated, whatever... they look that way on ALL HDTV's.It is the DVD, not the TV.Still, they look nice. Well, that's all.You may want to wait until 1080 native resolution sets are available later this year, but mind you they come with a hefty price tag!For now, this is THE set; and I say that not because I own it, but because it is true. Enjoy! It is light...about 100lbs for a 50 Inch TV!!!!! I have a 32"WegaXBR...awesome TV, but then won a 42"Phillips Plasma in a contest....was given the chance to take a gift certificate instead.....SHOPPED hard for a few weeks and nearly got the Mitsi 50" DLP until I saw this newest version of the Samsung 50"DLP. Was pleased by the next few comparisons I saw and made the purchase.Excellent HD pictures on my Comcast HD channels.The SD channels are not nearly what my XBR had, but the Sammy allows for an auto 4:3 setup for NON HD channels...which helps a bit. Anyone looking to educate themsleves, I'd strongly suggest visiting www.highdefforum.com.Since buying I'm on there all the time.Just bought the stand for this TV from circuit city and LOVE the contemporary look and hidden wires....next up...might need a DVR. Good luck to all who give this a shot...you won't be dissappointed. Looking for the final word in kitchen excitement? It's not a cooking appliance. Polaroid's compact FDM-1000A lets you watch broadcast TV, DVD movies, or listen to CDs, MP3 CDs, or even FM/AM radio, all in the comfort of a kitchen, bedroom, shed, or any place unfriendly to the traditionally bulky frame of a TV or stereo system. The unit offers a 10.2-inch, drop-down/fold-up LCD, a slim, a full-function remote control, a digital alarm clock, and stereo sound driven by 2.5 watts per speaker. It attaches to the underside of any conveniently positioned cabinet, so it takes up no counter space whatsoever, and it comes with all necessary mounting accessories. The FDM-1000A's profile is just 3 inches thick when closed, and its DVD player is perfect for enlivening your long cooking stints. It's compatible with most recordable DVD formats (DVD-R/RW, DVD+R/RW) and it'll show JPEG images from recordable CDs. 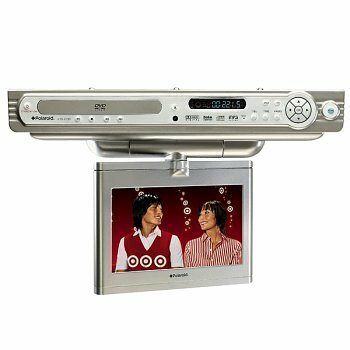 Watch step-by-step instructional cooking DVDs, or use its rear-panel audio/video inputs to hook up a VCR, gaming console, or camcorder. Use the set's handy clock and on/off timers as cooking timers, to restrict gaming time, or to free yourself from monitoring the clock to see when the evening news is about to start. Parental locking lets you restrict access to certain scenes and DVD discs. This monitor replaced my old 17"Trinitron, and my old CRT will never be missed.The Sony SDM-S74 is a superb monitor.The dual DVI-VGA inputs makes the monitor even more versatile.The picture is crisp, and the response is fast (both in active video, and in turning on since there is no degaussing for LCDs).Of course, the fact that it is about 1/5 the size of my old CRT and comes with a built-in cable guide (it runs the cables down the center stand) means that my real-world desktop is that much less cluttered. There are cheaper monitors, but for the LCD monitors i looked at, this monitor is really unbeatable.As an academic who is frequently online, i use this monitor to view texts and do text-based research, as well as hours and hours of writing; the crispness of this monitor is better for text viewing than many other LCDs, and certainly better than any CRT i've ever used.I also watch movies on it and notice no difference between it and my old CRT (except that my new Sony actually offers a greater viewing area than my old supposedly 17" CRT). My only potential caveat is that it does cost more than other monitors.This is offset for me by several factors: the quality and response of this LCD versus other LCDs, and quality of manufacture that Sony is renowned for, and the blunt fact that i spend hours in front of this mechanism, so it needs to be as high-quality as possible, while still inside of my reasonable budget: this LCD monitor wins the combination of factors. I can't write enought good things about the Sony SDM-S74. Performance, value and style combine in the VG900b. A treat for the eyes, the 19" ViewSonic VG900b offers high brightness and an exceptional 600:1 contrast ratio, producing vibrant colors, smooth images and crisp text. And the two 3-watt bezel-integrated stereo speakers sound great, even when wall mounted. The AutoTune, user-controlled OSD and power lock functions prevent changes to monitor settings to maintain the optimal image performance. The black color compliments todays black-case computers. For those who demand high performance, rich features combined with elegant design and great value, the VG900b is the preferred choice. Immerse yourself in the panorama of this big-picture LCD. Turn your ideas into breathtaking reality with the 20" VP201s Large-Screen ThinEdge Ultra-Slim Bezel LCD display. With astounding 176 ultra-wide viewing angles, UXGA 1.92 megapixel resolution, ClearMotiv broadcast-quality video technology and native HDTV high-scan 720p compatibility, the VP201b boosts professional productivity and heightens user enjoyment for video editors, financial traders, CAD/CAM engineers and power gamers. Ideal for multiple-panel configurations with height/pivot adjustments, digital/analog inputs and USB 2.0 high-speed connectivity, the VP201s is the infinitely versatile professional desktop display of choice. My VP201s had flickering pixels and instability only with DVI. The vendor would not allow a return but sent me to Viewsonic -- this was my second day of ownership. Viewsonic help insisted the problem was my computer/graphics card. After testing with different graphics cards, cables, and computers, Viewsonic finally sent one of their replacement "retreads" i.e., scuffed and beat up. I had to pay to ship the first one back. The retread would not power down and it was replaced by yet again another defective retread. Finally the third one they sent -- they took a full 4 weeks to send it -- was "new" but its manufacturing date was already one year old (probably "remanufactured new" in accordance to their policy). During my first nine months of ownership two months of time was consumed shipping these defective products back to the US distributor. I had to buy another monitor. So I've paid for a 36 month warranty but only receive 34 months. The only way to speed up this shipping process is to allow them to put a hold on your credit card (and possibly charge your account without notifying you) the full retail value of a new VP201s. (YOU PAY for their mistake!) If you buy any of their products I recommend that you buy from a dealer that will allow you to immediately return a defective product for refund or replacement. Otherwise, do business with a company that puts the customer first. Despite the claims (and logos) on the box, this item is not Macintosh friendly.The Mac setup/drivers disc it ships with is OS9 (hello, that was 3 years ago) only.The monitor will not work at the 1600x1200 resolution it touts without drivers that do not exist for the modern Mac. Customer support tried to shift the blame elswhere.Otherwise the product has worked fine (at lower resolution). - the stand is the best part.It can swivel side to side easily and the monitor can rotate into portrait mode.Very few other monitors can do this. - the first one I got went black 5 months after I bought it. 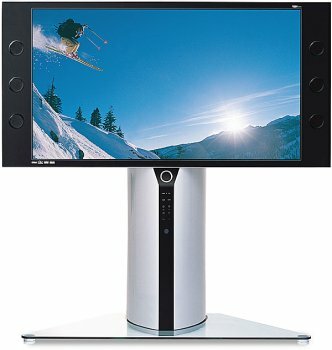 I own two of these monitors.When I purchased them, they seemed wonderful.I agree with other reviewers on the charms of this model.However, if my experience is a guide, there are serious quality control issues at the factory.My vp201s units both died within a month of each other, after 7 months and 8 months of use, respectively.I'm sending the second casualty in for warranted repairs now, even before getting the first unit back. Very Pleased - No problems! this is my second Viewsonic monitor (but my first LCD) and i have also had Sony and others.I am sold on Viewsonic.Wonderful, clear sharp resolution.I bought this model 5 months ago, and there were no dead pixels, which i was concerned about.But the unit is perfect and im very happy with it.It does have a slightly larger footprint, but only by a few inches.And for a 20 incher, i think it may be appropriate for balancing.I strongly recommend it.wonderful monitor. Sony's new SDM-S93 17-inch LCD monitor offers outstanding viewing performance, reduced power consumption, and versatile ergonomics. With 1,280 x 1,024 resolution, 600:1 contrast ratio, and ErgoBright technology, images are crisp and sharp. And, plug-and-play setup makes getting started a breeze for both PC and Mac users alike. The SDM-S93 offers a removable base for optional VESA wall-mounting, plus wide 170-degree horizontal and vertical viewing angles. When operating with the stand, users will appreciate the adjustable height features, a wide tilt range from -5 to +30 degrees, plus swivel base capabilities (+/- 175 degrees). The SDM-S93 comes backed by a generous three-year warranty on parts and labor, and includes everything you'll need to get started. I'd be curious to know how the other reviewer got picture-in-picture to work on the 710MP.I am told there is no such feature. Some reviewers note that TV pictures are not as sharp as computer images.This is true, but maybe unfair as the problem is more related to the resolution of the incoming TV signal than the performance of the monitor.At 1280x1024 pixels native resolution, the 710MP has far more pixels to fill than the 480 scan lines provided by a standard TV signal.The result when displaying standard TV on a higher resolution monitor is some fuzziness up close.Higher end digital TVs (like some of Samsung's own) cure this problem with an internal up converter that fills in added pixels with complex algorythims performed by dedicated video processors.The 710MP does not have any internal video processor to perform such image magic (nor should it be expected at this price point).This explains why the picture-in-picture (using only part of the LCD screen for TV) display is sharper than the full screen mode.Using an HDTV, DVD or other higher resolution signal cures the fuzziness by using the full available resolution of the 710MP screen. For primary use as a monitor, I've been extremely satisfied.The built-in speakers are clean sounding and more than adquate, if you don't demand driving bass or surround sound for gaming. 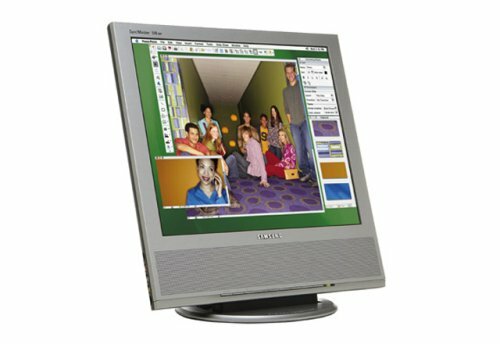 If your PC video card supports digital DVI out to a monitor, you might prefer a model with DVI inputs.Most people's computer are still analog out to the monitor and the 710MP or it's 19" cousin the 910MP are good choices to allow you to work and monitor television (or other video signals) at the same time. My experience is that the picture is better using the tuner in the Samsung monitor than using a PC based tuner and video-card to provide picture-in-picture capability in a pure monitor without its own tuner. On another computer with a high quality 19" Dell LCD monitor and an ATI 9600 All-in-Wonder video card, artifacts resulting from video processing and low television signal resolution are worse than on the Samsung monitor with a built-in television receiver.The downside?The ATI card can record television (in this case through Windows Media Edition).The Samsung can only display television (not record it). 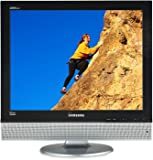 This monitor was my first Samsung product, but its quality construction and performance has me looking at Samsung as a preferred supplier as I consider larger LCD or DLP televisions. 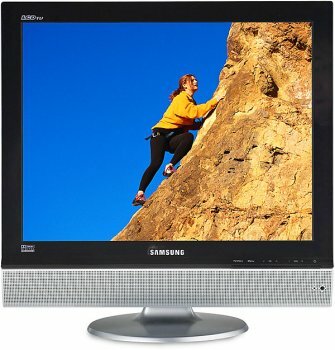 If you understand the limits of technology you are buying, the Samsung 710MP is a great choice.It is first a computer monitor and secondarily offers television viewing, both picture-in-picture and full screen.It can display both standard television (with the included tuner) or HDTV (with an external tuner).HDTV is crystal sharp. I highly recommend Samsung monitors and LCD televisions after my experience with the 710MP. I find this monitor excellent. Its very sharp and works great. As a TV, when I sit at my computer its pretty bleh quality, but if I sit a few feet away (like laying on my bed) it looks fine. I don't need a high definition TV on my desk, I can go into the next room for that. I gave this three stars only because it is a good computer monitor at a good price (with the current $100 rebate). But as "Steve G" mentioned, the Samsung 710MP does NOT work very well as a TV, regardless of the video source. I tried all three connections (video, S-video and RF antennae conn.) extensively, but the 710MP is deficient as a TV. The TV tuner section must be weak or noisy, because when using the RF connection with an antennae or analog cable TV, the 710MP has a LOT more static than a basic $100 TV set. Connecting a DVD player via S-video isn't noisy like the RF connection, and gives decent image detail, but the color rendition (quality) is worse than a basic $100 TV set, and also tends to be posterized, causing highlights and subtle colors to wash out, shadows to be too dark and strong colors to be oversaturated (all at the same time, no matter how you adjust it). In any TV mode, the 710MP has odd non-linear color rendition: some subtle colors that should be neutral have a pronounced orange or green color cast that cannot be corrected no matter how you adjust it, while other colors are washed out. But if you mainly need a computer monitor, and need stand-alone TV functionality (i.e. : with the computer turned off) in the same package, this might be worthwhile choice. I'd recommend test viewing other possible alternatives first to see if their TV sections work better. The Sony SDM-HS75P/S digital display is perfect for computer enthusiasts, computer power-users and computer gamers who want high-speed performance, style and value from a personal display. Exceptional for home video editing and multimedia entertainment applications and ideal for everyday computing. The SDM-HS75P/S digital display gives you the high-speed edge you want for gaming, video and multimedia. Images are responsive and sharp whether youre using your PC for gaming, watching video or everyday computing. XBRITE LCD Technology intensifies images to give you eye-popping brilliant video. Digital inputs provide smooth, distortion-free clarity. You'll get a high-performance computer display that is based on Sony's award-winning television technology. Images come alive with high brightness, exceptional contrast and incredibly fast video response time making this display stand out for multimedia, video and high-speed uses. XBRITE LCD Technology optimizes brightness, color, clarity and viewing angle while ErgoBright technology optimizes brightness for any lighting condition to reduce eyestrain. The slender rising design blends seamlessly into any space, helping it look modern, organized and clutter-free. Dual inputs ensure compatibility with todays analog and digital systems. Ready for digital computer systems when youre ready to transition. Connect and go! Sony's automatic image adjustment feature optimizes your display's performance instantly. Wall mountable. Macintosh&reg; and PC compatible. Tried 3 other; should have just bought this one! After ruining my existing CRT monitor, I had to buy a replacement. Searched for low-cost, high-quality CRTs and found none (went to at least 6 stores). Brought home two CRTs and immediately took them back. Then decided to up the ante by looking at LCDs. Bought the Sony SDM-HS73 (based on reviews and store demo). Brought it home and immediately didn't like the text when plugged in my G4 -- very fuzzy and gave me a headache. So I finally did what my wife and several friends suggested, spend the $700+ and buy the monitor I knew I really wanted/needed. Save yourself the search and buy the best to start. Cons: price tag, only Mac compatible, must need ADC. Beautiful for 1-2 years, then backlight fails. I really wish that I could give this Apple product 5 stars, write some words of praise, and be on my way, but unfortunately I would feel uncomfortable recommending this monitor. For two full years, this monitor was great. The resolution is generous, it is bright, and the fully digital ADC interface is perfect. Colors look good from a wide range of angles. The casing is smart and takes up little space, and it's easy to clean. The touch-sensitive power and brightness buttons are a nice touch that you expect from Apple. Multimedia functionality in a space-saving design. The 17" ViewSonic VG710b LCD display combines a refined slim-bezel design with the quality you have come to expect from ViewSonic. OptiSync&reg; technology supports both digital (DVI) and analog (VGA) signals for added versatility and connectivity. Two built-in 3-watt speakers, deliver rich, stereo sound to your desktop. Combine all this with ClearMotiv broadcast quality video featuring an ultra-fast 16ms video response time and a 450:1 contrast ratio (typ) and you have the ideal LCD display for home, small/home office, corporate, government or education use. I am absolutely pleased with my new monitor, ViewSonic VG710b, 17" LCD monitor (black), it is so remarkable!!! Nice color display, true hues! Try the monitor in person at a store, play with the buttons, hear the sound and then decide.Don't take this wrong, I LOVE THE MONITOR !! !Just wish the speakers were a bit better. Purchased this back in January 2005 because of the 100 rebate offered at the time. Submitted the rebate straight away and per the website, it had been approved and sent by mid-March. It's now June and no rebate. Other than this scam, the monitor is good. Just don't expect to get the rebate. The color and brightness are outstanding.It works well for DVD's, Cable and general computer use.I use this monitor about quite a lot, since I am a software developer I work/play and go to grad school all on this monitor.It is great for gaming and DVDs.I also use this monitor to watch cable with a tuner card (ATI AIW 9800 pro), it functions as a TV. It is interesting how misleading and ill informed some of the other reviewers are,how can you blame the product for your ignorance? I bought this monitor from Amazon. I used the free super saver shipping for free. Delivery was estimated for about 11 days after purchase, but I received it TWO days after purchase, WOW. Kudos Amazon. Anyway, using a standard VGA connection the picture is great at native 1280x1024 rez, BUT MAKE SURE TO SET COLOR TO 16 bit in your display settings in windoze. I had mine set at 32bits and apparently the analog interpreter tries to compensate by blurring the text slightly. I havent tried 32bit color with DVI. I think that was what CNET experienced when they gave the monitor a bad review. I have one pixel that stays very light magenta, it is invisible unless you get close. 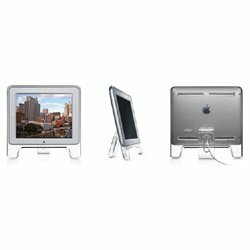 The stand is large enough to make the lcd stable. All in all, the monitor is great. Amazon was great. 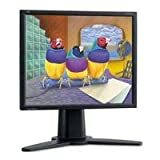 I saved a load of money over buying retail, and I got a great monitor for what the other online vendors sell absolute crap for, ie sceptre,dcl. As good as any retail demo I saw, like sony,samsung,etc. Monitor is good, in fact Monitor is better than the 2 stars I gave it when used with DVI digital out. I especially like the dual analog and digital inputs. Analog input was a little fuzzy and I wondered whther it was a mistake to have purchased the LCD. Fortunately I had a Radeon 9600 card with digital out to install. Plugged in the card and fired up the computer with the digital DVI cable connected. The difference was like night and day. Fuzzy unclear image became a crisp, sharp and the colors stand out. Great digital out performance. Sound control is poor. The monitor's sound volume is very loud at the lowest settings. Now regarding the rebate, be careful and read everything. The Princeton scam is with the expiration date versus the "must be submitted in 14 days". They are in conflict so don't get caught by reading the "due by end of month" scam. The monitor took a few days to arrive coupled with the Christmas holiday season. By the time I filled out the form 15 days had passed since I had purchased product and Princeton denied the $100 rebate. B@$t@rd$! I won't be purchasing from them again, even if it not my money. 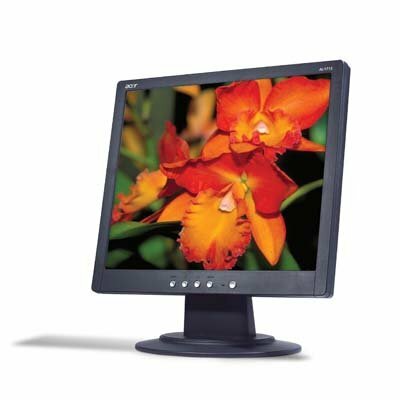 If you don't have a digital out from your video card forget this monitor. If you do and don't mind little control for the sound volume, go for it. If you really want the rebate, watchout cause Princeton is counting on you missing 2 week deadline. B@$t@rd$! Poor strategy for a struggling manufacturer to $#@#w its customers rather than provide good product and good service. I bought the Costco version and didn't need the speakers but the unit buzzes! So I returned it and picked up another one. And it buzzes!